A little more than twenty-nine year’s ago Calvary Chapel Pasadena entered the world at the Lord’s direction. In (of all places) The City of Alhambra. In the quaint California bungalow of George and Rita Gutierrez on Hidalgo Street the fellowship started as a home Bible study with three people. Today we meet weekly with an attendance of some 1500 adults. 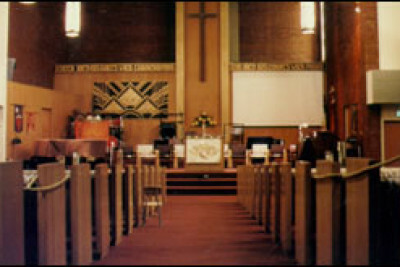 In the early days the church rented space in various facilities for the holding of Bible studies and Sunday services. 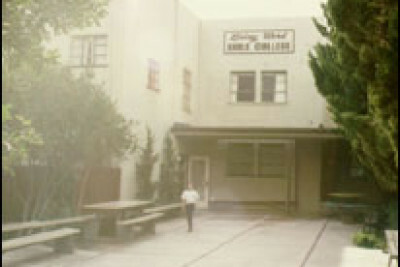 Starting in the summer of 1980, our Sunday morning services were held at the Alhambra YMCA which we understand had never rented space for such an activity before. “Somehow” they felt inclined to provide us a home for our first few months. Our Thursday night Bible studies were held at the Alhambra women’s club on Second Street, while the children’s ministry was anchored at the church office a few blocks away on Stoneman Avenue. During the six years the church served the city of Alhambra we operated out of a wide variety of locations: the Masonic Lodge on First Street, the Adventist Church on Chapel, the old Edwards Movie Theater on Main Street. Only once in those years did we venture outside the city of Alhambra for a meeting place. 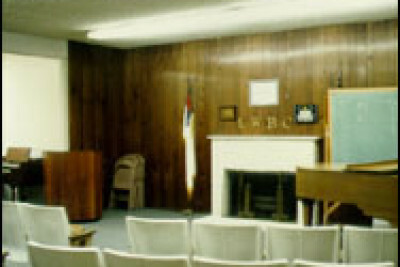 In the mid-eighties we met in an available church facility on Walnut Grove in Rosemead and moved our midweek service to Wednesday evening. We held special events in public parks and recreation facilities concerts in the San Gabriel Civic Auditorium, Son Rise Services in parking lots, and on golf courses, Children’s Ministry sometimes in the same complex with the services, and sometimes removed by a few blocks or a mile or two; all during these very productive years as God was developing and maturing the church, the leadership, and the staff. Pastor Xavier Ries, Pastor Mario Alvarez, Sam Scotti, and secretary Lilly Chavez conducted, organized, and assisted the orderly undertakings of an army of volunteers that transported and operated the church in all its ministries to their various locations. As difficult as these years were, true to the Lord’s pattern for the church, tribulation produces perseverance. The Lord was in the process of preparing us for an even greater opportunity, after seven very good (difficult) years, in the spring of 1986, a door opened in the city of Pasadena. In a building we could never afford, in a facility we would never have dreamed of, we made a ridiculous offer and God answered. We were able to purchase what had been the Pasadena headquarters for the Nazarene Church. A beautiful complex (at least in the eyes of faith). Almost a year to the day from our taking possession of the facility, the Sierra Madre earthquake forced us to demolish a third of the existing structure and has from that time until this, kept us engaged in the work of re-modeling and expansion. Building a full gymnasium, adding bathrooms and keeping up with the needs of the body as the Lord adds each day such as should be saved. In addition to these numerous projects, we were blessed by the Lord to make the facility debt free in the first twelve years without any special fundraising devices or pressure placed upon God’s people. The priority of ministry has been our constant focus throughout the years. As God has added to the body here in Pasadena (somewhere around 300 in 1987 to about 1500 adults today) He has added to the staff as well, presently at seven fulltime pastors, and two secretaries. The strength of the church has always been the Lord’s work through the countless volunteers that labor every week to do the work of ministry. 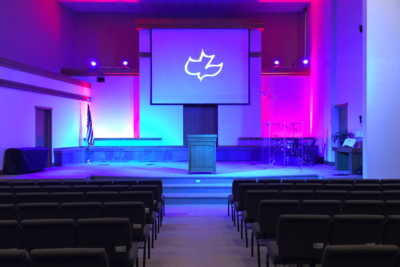 We have had the privilege of hosting countless events through the years concerts, seminars, evangelistic outreaches, banquets, and conferences. Our Radio Ministry, “Simple Truths” has blessed many people in distant locations. One of the best examples of God’s sovereignty in directing the work of ministry is perhaps the amazing way He has used the ministry of the Spanish tape library. Throughout the years, we have supplied Pastor Xavier’s New Testament teaching in the Spanish language to many organizations that, with our permission, have freely duplicated and distributed the studies. Today they are used in communist Cuba, on the radio in central America throughout Mexico, as well as South America, Europe, as far as the Philippines, and by reports we receive every year, these simple recordings honor God in ways we could never have imagined. That is in point of fact our heart felt prayer for the future. That our ability would never be the measure of God’s work, but that His Spirit would direct us into ever greater opportunities to honor His name and that the truth of Jesus Christ would be revealed in ways we could never imagine.